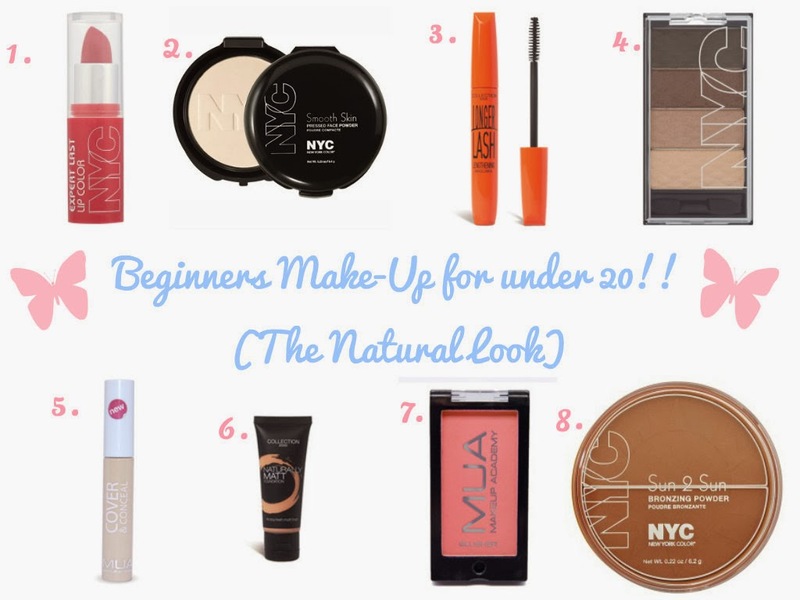 So today I thought that I would share with you my idea of a make-up set for beginners for under £20!! I’ve decided to go for the natural look because it’s the best type of look for beginners it’s simple but a beautiful look because it enhances the beauty that you already have. I decided to go with a lipstick rather than a lip gloss because personally I prefer lipsticks however you can chose to pick a lip gloss if you want. This colour is a rosy pink however it’s also a natural colour because it’s not too bright or dark so it would go perfectly with this look. Face powder is a must for beginners because it stops all your make-up from running down your face on those hot days. But most of all it helps to keep all your foundation in place throughout the day/night. I picked the translucent shade because it suits everyone it adjusts to your specific skin tone. Mascara is a must because it helps your lashes look longer and fuller than they actually are. I love Collection 2000 because they’re very reasonable and their products are great especially for beginners. I know a lot of bloggers/youtubers who are in love with Collection 2000 because of the wide range of products that they have on offer but also the quality of the products. Eye shadow is great for beginners because it just adds that little bit more colour to your face and it helps to enhance your eyes. I chose this specific palette because all of the colours are neutral which is always a safe option for beginners. I recommend getting a concealer of some sort because it helps to reduce the darkness underneath your eyes if you have any. It also helps to highlight specific areas on your face by making them brighter. I chose this foundation because it’s perfect coverage for a beginner. It’s not to heavy or too light on the face it’s also very easy to apply using any brush or sponges. I love this foundation because it’s cheap compared to other foundation products. It lasts quite a long time if you don’t wear make-up everyday but on special occasions. MUA is known for being a cheap make-up brand however they’re also known for the high pigmentation within their products. These two combined together makes a great make-up brand!! I love MUA’s blushers because the pigmentation is amazing and they last a long time. NYC is also a reasonably price brand that has come over from the USA. It’s quite popular over here and you can find it in most drug/high street stores. I chose this bronzer because it’s a 2 in 1 bronzer it highlights and also gives you that summer glow. It also helps to make the skin look healthy and provides that natural look.